In Georgia, it isn’t just the telecommunications giants building the internet. Sometimes creative solutions are needed in this small mountainous country in the Caucasus. The story of Ucha Kemashvili from Chumlakhi village is one such example. For months, the 25-year old spent part of his salary to equip the village square with free Wi-Fi so people could browse the Web. Now villagers, young and old, gather here daily to watch movies or catch up on the latest news. With a population of fewer than five thousand people, Chumlakhi sits 100km away from Tbilisi, the nation’s capital. The village has Internet access, but most inhabitants can’t afford the $15 monthly fee. Three years ago, while still employed, Ucha Kemashvili could afford Internet at home. He didn’t password protect his connection, providing open access to the Web. Outside his house, Ucha set up a table, refinished broken benches, and turned an unkempt area into a cozy little gathering spot. Free high-speed Internet access together with the neighborly atmosphere quickly drew the villagers in – every night, the place would fill up with locals. Soon, the area became known as Ucha’s Square. People use the Internet in different ways in Ucha’s Square. Teachers prepare their lectures; school children look up information for their homework. Some people play online games, while others read or use social media. Every month, $20 from Ucha’s salary would go towards the square: building a street curb, refreshing the paint, or planting trees. Now it has the appearance of an official municipal park with a Wi-Fi sign on a street pole and a stand with the latest village news nailed to a tree. Ucha even added security measures installing a camera overlooking the square high up on a pole. Internet penetration rates in Georgia reached 50 per cent of the total population last year (compared to rates nearing 90 per cent in countries such as Canada and the United Kingdom.) While penetration rates are increasing in Georgia, the cost of internet services remains high, and the speed of connection is still quite low, especially in rural areas. Some 20 internet service providers offer internet access in Georgia, with the two biggest, Caucasus-Online and Silknet, connecting 60% of the country’s internet users. Smaller companies operate in less covered regions, such as Ucha’s village, where Delta-Net offers service via two independent optic cable lines linked to Turkish connections. Digital Report is an online Russian-language source of news, analysis, statistics, and professional resources on information and telecommunication developments in Eurasia. Upholding the values of freedom of expression and respect for human rights, Digital Report relies on an extensive partner network of Eurasia-based experts to provide in-depth reporting on politics, regulation, business, and rights and freedoms in the digital age. 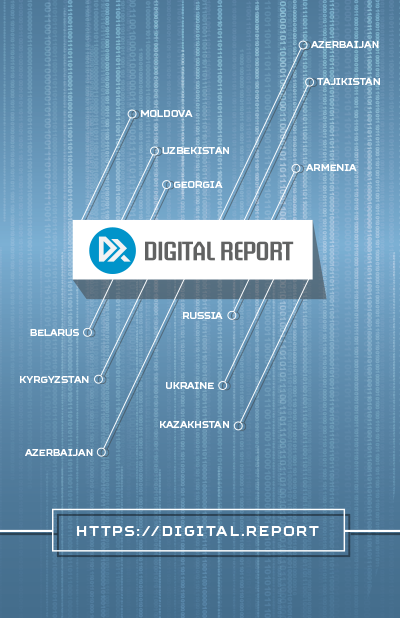 Digital Report welcomes contributions from authors, activists, educators, experts, and all those passionate, informed, and interested in the future of digital Eurasia.